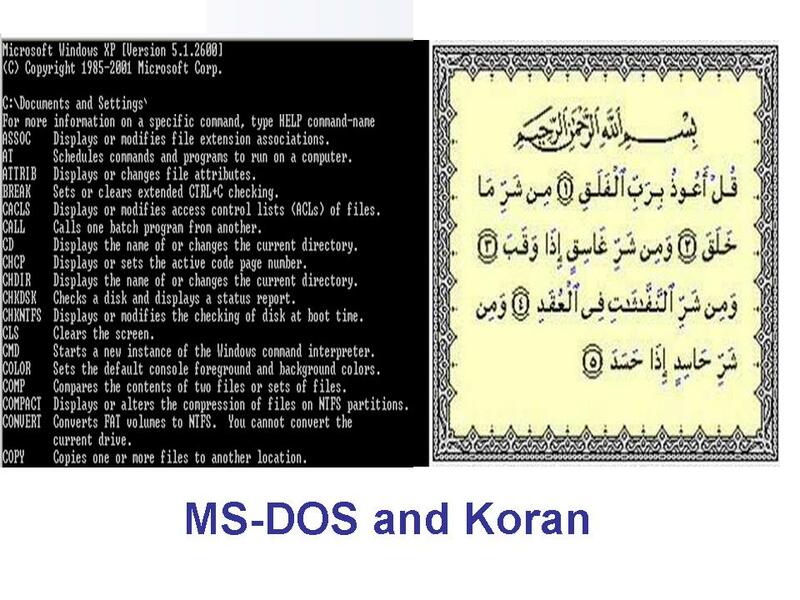 This post examines some similarities between Islam and MS DOS and between Bill Gates and Mohummad. Most of the observations also apply for the other desert faith and its idols – christianity, jesus and bible. Ex Proctor and Gamble Executive Shri Gurcharan Das these days has been evangelizing (and pontificating) on Dharma and Mahabharat(MB) a lot. He has authored a book ‘The Difficulty of Being Good: On the Subtle Art of Dharma’. Either his father’s native spirit’s calling was tough for Gurcharan to resist or he could not resist an opportunity using PR and his networking links to position his undeserving self as an authority on MB. This post an outcome of two responses to his blog posts, acts as a reality check – both on the merit of his recent work and its relevance. On September 27, Gurcharan blogged: “Is the middle path the way to peace with Pakistan?”. In the blog Gurcharan wrote MB would advocate middle path of negotiation”. The following responses are not limited to his blog posts but the wider positions he has taken elsewhere as well. on it is bound to be interesting. Dharmic dictum – ‘Satyam Vada’. kingdom, nor US for formulating strategic containment of China. capability. And as we know in Dron Parv, Yudhishtr and Bhim indeed short sell Dharma. expertise. There in lie concerns about your book,its narrative. as Ratan Tata, other nationalist Indians assert? Mahabharat as we native Indians know is an engaging text. So any synthesis/analysis based on it is bound to be interesting. There are errors in your allegorical references to Mahabharat. You have tried retro fitting Yudhishtr within cages of your contrived conception as the prima donna of MB. Such an effort howsoever interesting it might sound is unlikely to be an effective vehicle for propogation of Dharma. One needs to be careful that they dont end up violating Taittriopanishad’s basic Dharmic dictum – ‘Satyam Vada’. In MB Yudishtr manifests the intent to be anointed Chakravarthin (Some might call this intent Greed). Hence his motive to do Raja Suya Yagn. He subsequently voluntarily enters the dice game and one of his motivations is he can win Duryodhan’s assets (again some might call this motivation greed). On these considerations, it is tough to blame either Yudhishtr or for that matter Duryodhan for his intent to dispossess Yudhishtr of his kingdom considering the conception of kshatriya dharma. One cant blame China for wanting to be the middle kingdom, nor US for formulating strategic containment of China. You have referred to Yudhishtra’s deploying his commitment to “Vaak” as to why he should not immediately fight it out. In the Yudhishra-Draupadi-Pandav Sambhashan in Van Parv, one of the reasons Yudhishtar does not immediately opt for war is because of the strength of Duriyodan’s mobilisation potential. It was not just the word. He wanted to build capability. And as we know in Dron Parv, Yudhishtr and Bhim indeed short sell Dharma. Pandits have their own reasons why Yudhishtr was not the right person for receiving Gitacharya’s message. There in lies your mistake in depicting Yudhishtr as hero for voicing pragmatic position. In the Udyog Parv when confabulations happen on sending emissary to Duryodhan’s court, Balaram takes the position “Once Yudhishtr has gambled away his assets, he cant demand them back by right, or by coerceive threat of violence”. So neither the case for war nor the outcome can be interpreted in binary terms. Duryodhan’s last General ensured Pandav victory was pyrrihic. Interpreting native concepts from a western perspective is not a crime. But usually the spirit of the work is better carried and reflected when the perspective is inside out; Rajaji et al. worked from the inside-out perspective and made meaningful contributions. The outside in perspective from the likes of Stuart Mill, Macaulay, Nehru introduced Vishama into the native soceity. It makes one think you could have saved yourself and the reader time, and delivered superior output by investing a bit of your time by learning what makes Dharma from native Indian sources. While skepticism on assertions by natives is not necessarily an error, bypassing them is a serious mistake especially considering the nature of subject -Dharma. Tendency to interpret native texts for non natives usually necessitates confirming to one sine qua non – thorough understanding of native traditions on the text. Pretentious smattering of Sanskrit words can never be a substitute for poor research and ignorance. Check out the outcome of an effort based on native traditions which strikes the heart of the matter and provides superior guidelines on practicing art of Dharma than your verbose and shoddy effort. Your amateurish effort articulating Dharma can be a stepping stone for interested readers towards understanding Dharma. For that to happen, you/reveiwers of your book should desist from presenting your work on Dharma from an authoritative perspective. It can at best be a kindergarten’s source for learning Dharma. Your penchant to articulate “Mahabharata/Bhisham Pitamaha says do this…do that”..is best avoided on account of your clear inadequate acquaintance on the subject, lack of subject matter expertise. Therein lie concerns about your book, its narrative. This is not to denigrate your amateur’s effort. ZIM believes that while there are serious shortcomings in your narration, by affirming the current relevance of native Indian tradition and alluding to its superiority over dogmatic totalitarian ones, and by connecting your corporate experience to Yudhishtr’s challenges, you seem to have made your rather ordinary book a bit relevant. Food for thought on your blog post: Just as Hastinapur/Indraprasth/Gandhara shenanigans was fixed by someone from Dwaraka, should Indians again need to look at Gujarat for solution asnationalist Indians assert? ZIM’s response is provided below. This is an outcome of the xian/islamic civilisational assault that goes on against native Indian beliefs under the garb of secularism. You are perceptive enough to understand that the above assertion is not untrue. Indian Government’s selective targeting of temple control, temple property, attack on Karnataka priests at Pashupatinath temple by communists in Nepal are some of the manifestations of this assault. When someone equivocates between seculars and Hindutvavadis, s/he is probably guilty of the 1/4th sin that Mahabharat apportions to the silent accomplice to the crime that cites “Hamaam Mein Sab Nange Hain” and refuses to take a Dharmic position. The blog post on Radha Krishna speaks out why the costs of absence of moral clarity on this issue will remain high. Common natives instinctively seem to understand the moral position and ground realities better than the intellectuals. There are chowkidars of apartments that see with perspicacity, RSS is one force standing between complete islami–isaisation of India/undermining India’s native traditions. 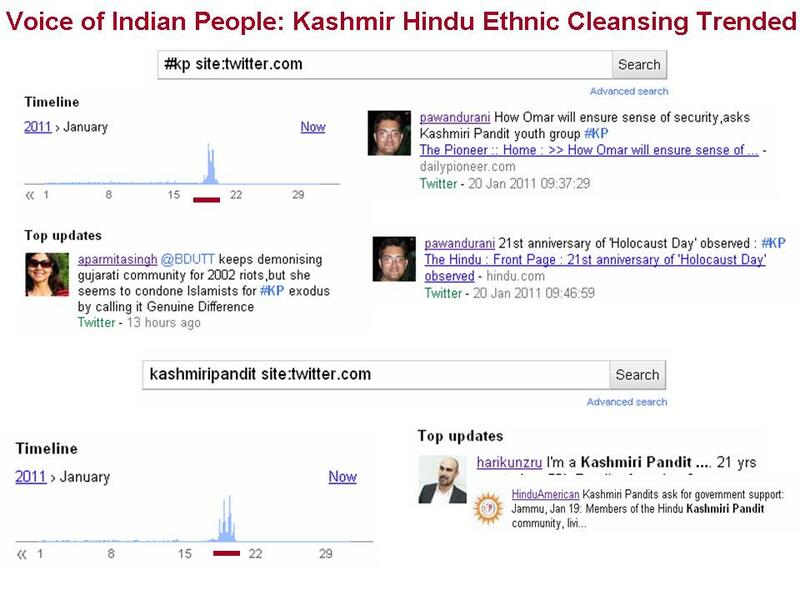 Though of course RSS has its short comings. Heart of the issue in India is that Dharma has a higher chance of success with RSS/BJP on the reins rather than Congress I, which is today a preferred vehicle for isai and islami agendas. Even some business people and leaders like E Sreedharan instinctively seem to grasp this as they publically bat for NaMo, BJP though many do not get it. What is Dharma for a Hindu? Following five aspects of life recommended in native Indian tradition as the essence of Dharma: Ahimsa Satyam Astheyam Shoucham Indhriya Nigrahaa: Each Hindu by practising the five facets of life will be true to his Dharma, whatever be his tribal, linguistic, caste or economic status. These are the touchstones that act as moral compass, help formulate Hindu behavior. First is Ahimsa. Ahimsa not only means “not to use physical violence” and “not to kill”. It also means one should not hurt another even in the mind’s plane. So the words one speaks consciously should be such that another should not feel hurt. Dont hurt others is the essence of Ahimsa. Second is Satyam. What one knows should be communicated to others with accuracy, both in letter and spirit. Third is Astheyam. Greed for someone else’s wealth should be eschewed. One is expected to work hard and earn. Don’t covet what is not yours. Fourth is Shoucham: Cleanliness indeed is an important facet. Now cleanliness is not just one of keeping the body clean. Being of Clean mind is even more important. Fifth is Indriya Nigraha: One has to regulate the senses by controlling the sense organs – Eyes, ears, nose, tongue, touch and the mind. To summarise Hindu Dharma is both universal & respectful for human well-being in the true sense. Focus is on behavior rather than on commands, providing vent for free will. There are no dogmatic hateful schisms: believer versus heathen, momin versus kaffir, burgeois versus proletariat.